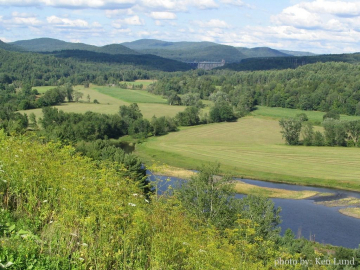 Hartford, VT - Vermont and New Hampshire Real Estate - Quechee Associates, Inc.
Hartford is actually made up of 5 villages: Quechee, White River Jct., Wilder, Hartford and West Hartford. Each with its own appeal and things to see and do. White River Jct., sits on the border of NH where the White River meets the Connecticut. Once a major Railway hub WRJ features turn of the century architecture and many historic landmarks. Get a taste of Broadway with tickets to Northern Stage, the areas only professional theater company. The village of Hartford has many historic homes, while West Hartford is more rural and you can enjoy the beauty of the backroads and the river and then stop for lunch at the classic country store. Wilder has a great community feel and you will see kids playing in the yards, family barbecues, and neighbors on their porches as you drive the pleasant streets. What ever you are looking for, one of the Villages of Hartford is sure to have it.